Telstra has rolled out its first test group of phone box Wi-Fi hotspots and announced more than 100 towns and cities will gain access to 1000 hotspots before Christmas. On the surface the move seems set to revolutionise the way Australians use broadband in public places, but only paying Telstra customers will gain ‘free’ access to the hotspots after the trial period (Telstra has failed to specify how long the hotspots will be ‘on trial’ for). During the trial, users including those not with Telstra can connect to the Wi-Fi hotspots for 30 minutes free. The hotspots have a set maximum amount of users to avoid slow speeds. Users should stay within 20 to 50 metres from the hotspot while using it. Telstra aims is to switch on more than two million hotspots across Australia over five years. 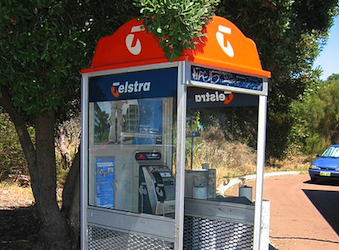 The first trials will be at payphone sites but in future Telstra plans to also build hotspots to place at its retail outlets and exchange buildings.